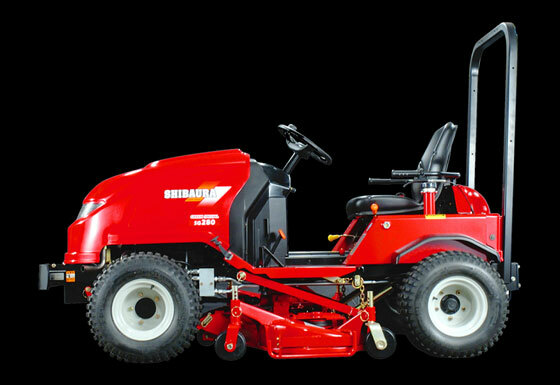 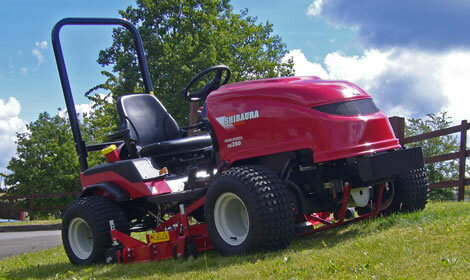 High-displacement, high-output Shibaura N843 diesel engine complying with exhaust emission regulations. 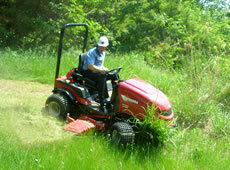 Optimal functions for easy operation and maneuverability. 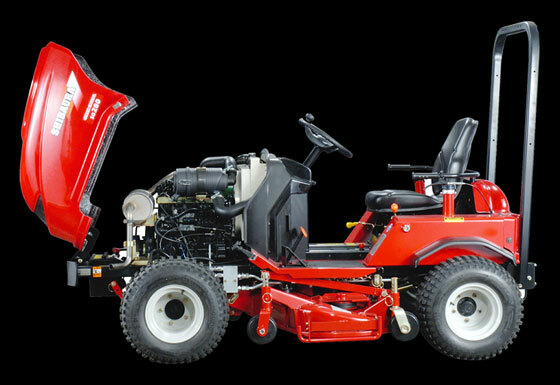 Low centre of gravity for stability and safety. 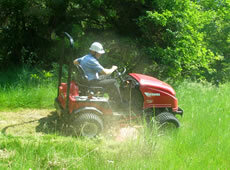 Equipped with horizontal rolling seat capable of adjusting to an incline of up to 25 degrees. 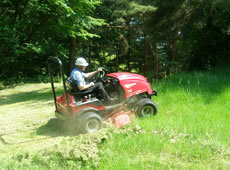 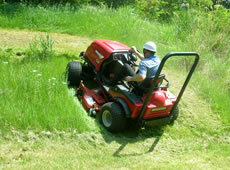 Wide variety of grass collectors to suit individual needs.